Our work is not just about building the capacity of the schools, it also about improving the capacity of the pupils to learn. 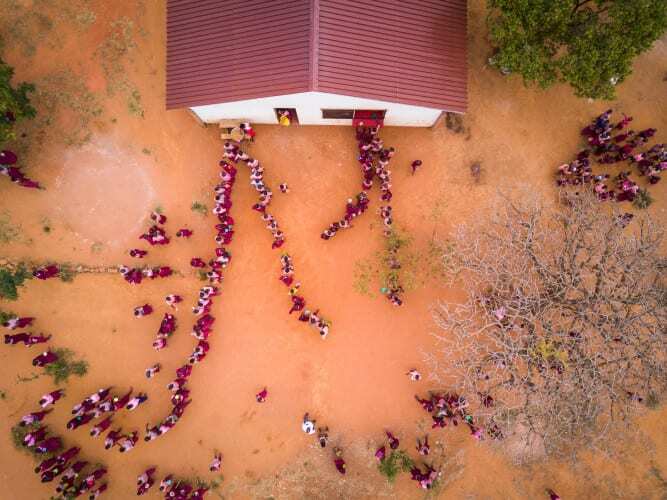 Our welfare programmes aim to improve pupil well-being so that they are physically able to learn and study, not tired from or distracted by thirst, hunger or ill-health. We provide a daily lunch to every pupil in our partner schools to helps fuel bodies and minds for productive learning. We install safe, modern and hygienic latrines, with private washroom facilities for girls and separate dedicated staff latrines. We improve water supplies and storage capacity to ensure there is no day without water for drinking in school. 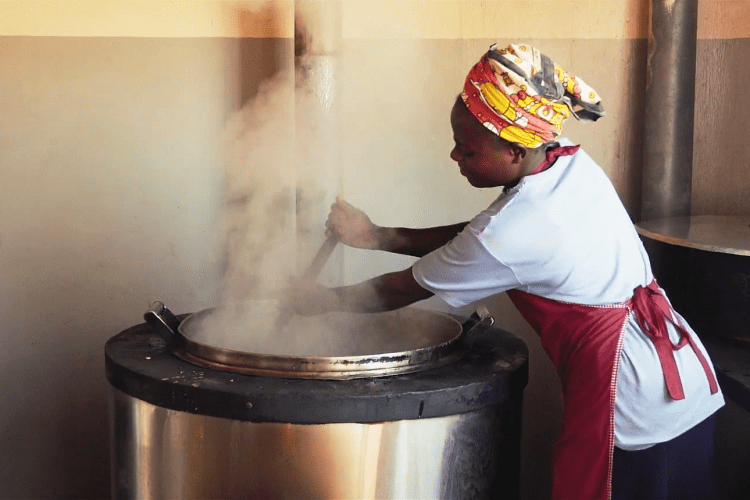 Our school meal programme, provides a daily hot lunch to more than 2,750 pupils across our network of partner schools and beyond who, in the absence of any government funded programme, would otherwise go through the day learning on an empty stomach. 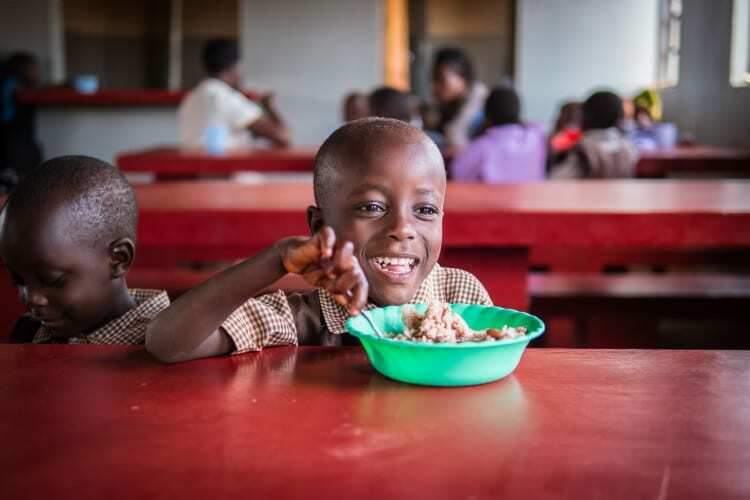 By providing a daily lunch to children in school we remove hunger as a barrier to learning as it encourages pupils to attend school in the first place and then keeps them there throughout the day. Since the programme was launched in September 2013, initially in just a single school of 330 pupils, we have provided more than 1.5 million meals. We currently deliver more than 50,000 meals per month. Access to water is a right; but one which those of us who are fortunate to have it piped to our homes all too often take for granted. 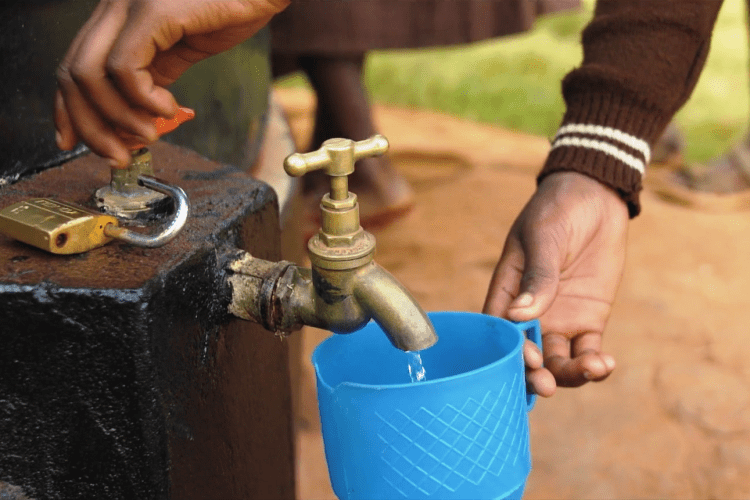 It is simply not acceptable in the 21st century that schools in the developing world do not have access to a reliable supply of clean water which is needed for drinking, cooking, hand-washing and cleaning. 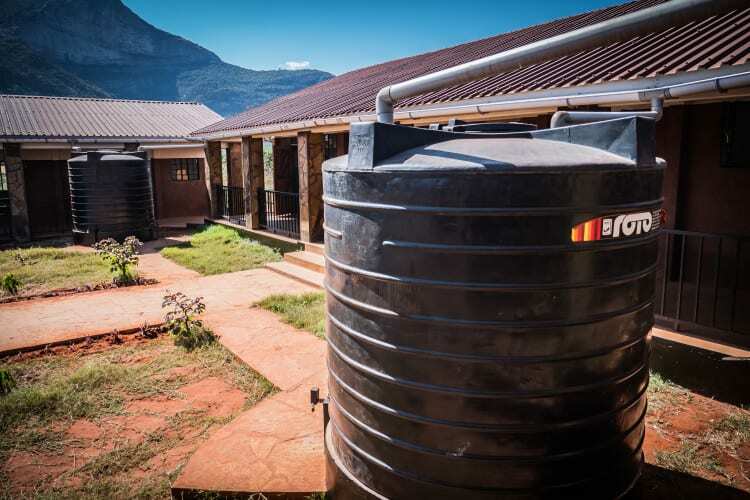 We work to improve water security in our partner schools by establishing rainwater harvesting capacity and connections to other supplies of water. During times of drought, when these sources dry up, we also deliver emergency supplies of water to those schools that need it. "It has really helped having lunch at school. It gives us more time to study and the lower classes can play. Since the lunch came we have performed very well." 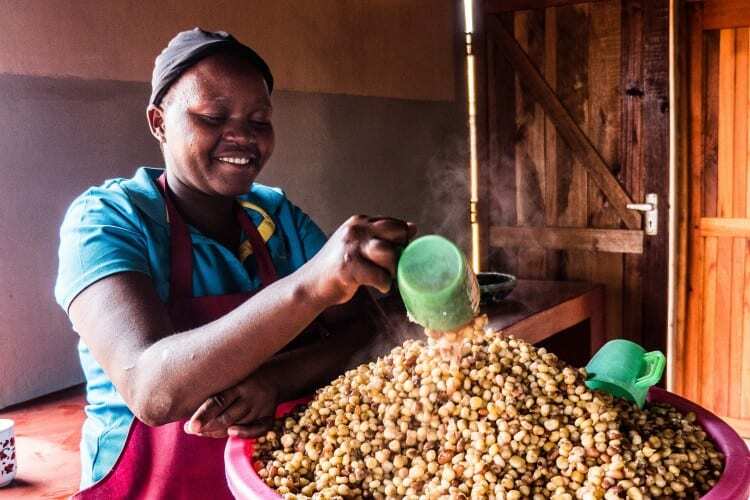 "The food that African Promise supplies for our school is the only refuge that saves the life of the most vulnerable children in this part of the earth."